DMD Detailing provides clients in the Kilmarnock area a professional car detailing service. Specializing in car detailing services such as paint correction aimed at transforming the look and appearance of your vehicle, new car protection detail designed to provide your vehicle with a durable paint protection to protect it from the elements and protect your investment, further services include, pre sale detail, headlight restoration and exterior protection detail. The aim at DMD Detailing is to be your first choice when choosing car detailing service provider in Kilmarnock to improve and protect the appearance of your vehicle. Established in 2007 DMD Detailing have many years of experience specialising in Car Detailing working on everything from family hatchbacks, saloons, sports cars, prestige and luxury cars of all shapes and sizes. DMD Detailing is an Accredited Car Detailer for KubeBond UK who produce Diamond 9H who provide the finest Ceramic Coatings available today. DMD Detailing specialise in the application of Ceramic Coatings which become the new surface of your vehicles paintwork and have a improved scratched resistance over standard paintwork finishes. There will be no need to polish or wax your vehicle with my new car paint protection package, the ceramic coatings will provide that just waxed glossy look for many years even after washing and drying your vehicle. Based in Houston, Renfrewshire, DMD Detailing are perfectly located to offer specialist car detailing Glasgow and surrounding areas of Renfrewshire and Inverclyde including Paisley, Port Glasgow, Greenock, Gourock, Glasgow and Dumbarton. My detailing services include paint correction which will remove swirl marks and hazy paintwork that has been damaged with poor wash techniques. ​My Ceramic Paint Protection Packages consists of me applying a quality Ceramic Coating which provides 3 years up to 5 years plus paint protection with the right after care. My Ceramic Coatings are designed to provide your vehicle with a durable paint protection to protect it from the elements. Each of the ceramic coating packages will give your car unrivalled depth of gloss, stunning looks and superior scratch resistance over standard paintwork. The best Ceramic coating paint protection for your vehicle which provides an protective coating between the elements and your vehicle's paintwork. The paint will retain its colour and contaminants will be blocked out to keep the paint smooth and clean. 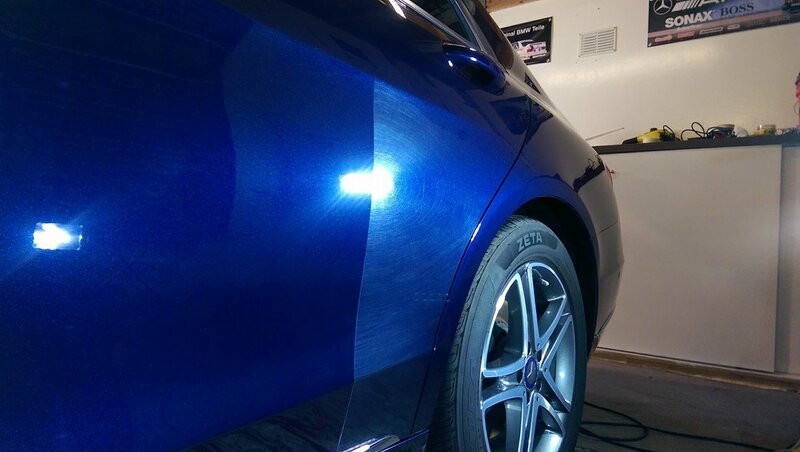 My ceramic coatings provide constant, unyielding protection for your vehicle's finish! The Paint Correction package is designed for vehicles that have picked up swirl marks, fine scratches and various other imperfections through bad car polishing and poor washing methods. As a result of these the paintwork is left looking dull and hazy. My Paint Correction package will remove light swirl marks and hazying via machine polishing restoring a glossy, swirl free paintwork finish. ​After this is complete the ceramic coating is applied to ensure that your vehicle's paintwork is fully protected. At DMD Detailing, I am proud of the cars I detail. So here you will find some photographs that I have uploaded to my website, all the cars featured in the gallery have been detailed by myself and are my own photographs, not google images that other detailing companys use! "All images shown on this website are images of my own work and are subject to copyright laws"